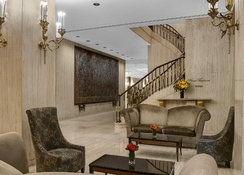 Park Lane Hotel New York is a luxurious skyscraper hotel that houses 628 guestrooms across 46 floors. 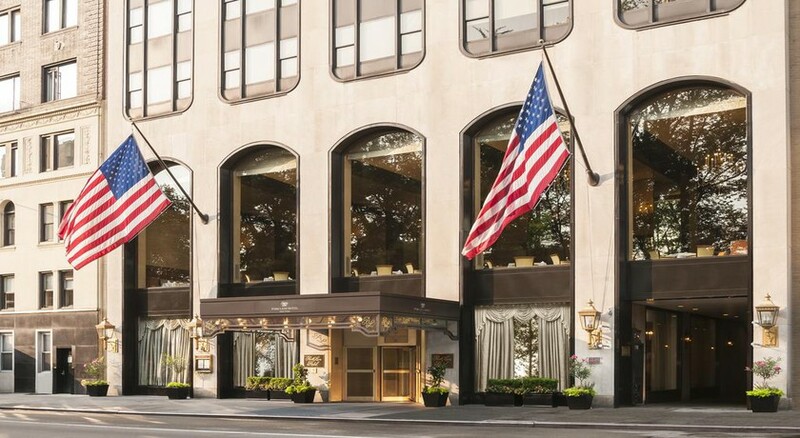 Guests staying in this hotel can enjoy spectacular views of the New York City skyline as well as Central Park. In fact, it is just minutes’ walk from Museum Mile, Lincoln Center, Radio City Music Hall, Carnegie Hall, etc. The guestrooms are luxurious and offer the best in comfort, making your stay a relaxed one. The staff members in the hotel are very professional and friendly, they take care of even the smallest requirement with utmost care. All these things make this hotel a great place to stay. 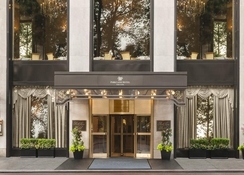 Park Lane Hotel New York is situated in the heart of New York City. Guests staying in this hotel can easily access numerous shop and all kinds of nightly entertainment. Museum of Modern Art is within 1km from the hotel. The LaGuardia Airport is only from the hotel, while the Newark Airport is about 27km. All the 628 guestrooms in the hotel offer uncompromising luxury accompanied by marvellous views of the city. 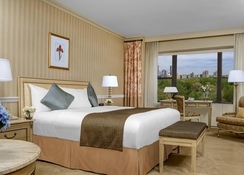 The guestrooms are categorised as Executive City View Queen, Executive City View King, Executive City View Double, Executive Park View King, Executive Park View Double, Executive Park View Junior Suite, Premier City View Queen, Premier City View Double, Premier Partial Park View Queen, Premier Park View King, Premier Park View Double, Premier Park View Junior Suite, Executive City View Double Mobility/Hearing/Roll-In Shower, Executive Park View Junior Suite Mobility/Hearing With Tub, Premier City View Mobility/Hearing/Roll-In Shower, Honeymoon Suite, Presidential Suite and Park Lane Suite. These rooms comprise the following amenities: flat screen TV, rollaway bed, Wi-Fi (additional charges), pillow-top mattress, two plush bathrobes with matching slippers, full length mirror, luxury linens, in-room safe, hair dryer, in-room dining, air conditioning, heating, work desk, turn down service, telephone and much more. There are many restaurants and bars in and around the hotel namely The Park Room Restaurant, Harry’s New York Bar and Grill, Café on the Green and many more. The hotel’s staff members will have a friendly and professional approach and will give you suggestions to choose the best food combinations. Guests can take advantage of the in-room service. There are ample sports and entertainment facilities that the hotel and its surrounding vicinity has to offer to keep guests engaged throughout the day. Those who want to maintain their fitness level can take advantage of the state of the art gym. Those who want to play their favourite sport can hit the following sports clubs: New York Athletic Club and New York Sports Club.